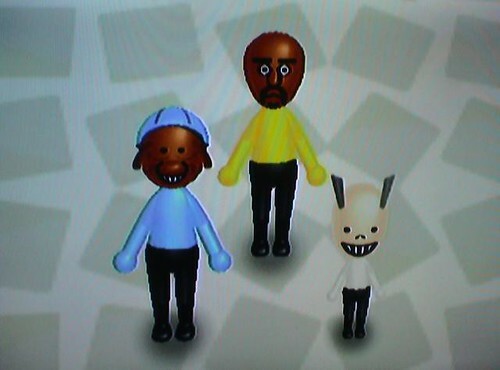 This is my feeble attempt at creating Sam, Max, and Bosco on the Wii's Mii Channel. The level of customization is quite limited, which makes it difficult to create anthropomorphic characters with animal-like features. Bosco turned out pretty well, but then again, he's a standard humanoid. Sadly, there are no watermelon shaped heads to choose from on the Mii Channel, so Max looks a bit odd. If anyone here actually has a Wii, I'd be happy to send along a few Miis. In addition to these, I have a Link, Luigi, Mario, Weird Al Yankovic, and many others. Sam: I feel an odd sense of foreboding. Hahaha those are all scary, and awesome. Ha! When I tried to make one of Max, it came out a lot like that one. I took that as a sign to not even bother attempting Sam. I did, however, make several of the supporting human cast into Miis. I've actually tweaked them a bit since then, so I could probably get better pics if I felt like it. Alot of Bosco's attitude can be seen on his Mii face in mhaley's attempt. "Nintendo has it in for me! Call the National Guard! Call ANYONE! Why am I even here!?". 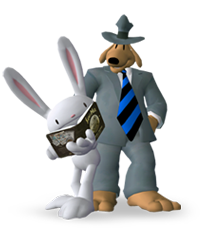 And I wouldn't guess it was Sam & Max if you haven't told me. Hehe. A creepy pair of cheap homemade doppelgangers. 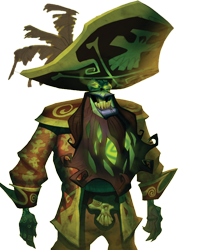 Yellow and orange, dark-skinned Boscos? Blue Sybil? Someone needs to get their colors straight! Also what about Miis for Myra Stump, Chuckles, Leonard, and Hugh Bliss? Maybe even Conroy Bumpus and Lee-Harvey? I later changed Sybil's outfit to red. And I made mine before episode 2 came out.